From the chocolate and toffee mousse that was on offer with the Rolo Mousse, we have flipped to the other side today with the likes of the Milkybar Mousse – cue the Milkybar song …..
Alongside Magic Stars and Smarties (until I was banned because of all those E numbers sending me doolally) Milkybar takes me back to my childhood. 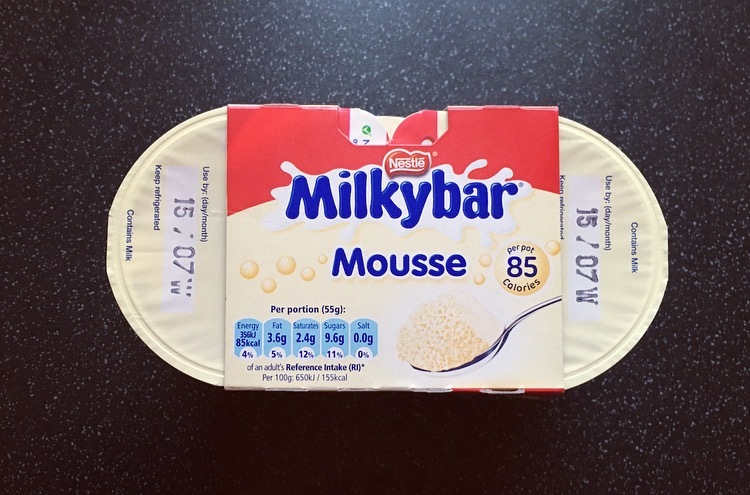 I was certainly more of a bar gal than the buttons, but it no longer stops there because we now have the Milkybar Mousse. £1.24 for 4 pots. 1 Pot: 85 kcal, 2.4g Sat Fat, 9.6g Sugar, 2.7g Protein – 4 WW Smart Points. First off this smells mouth wateringly good. Plunging straight in the texture was looser than the other mousses I have tried, however it still had that signature air bubble to it. White chocolate makes up 10% of the mousse, which is good to see given it is a white chocolate mousse. 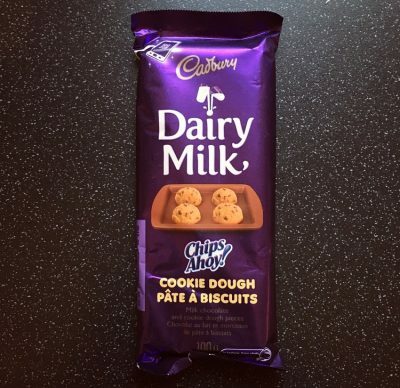 In a nutshell this is exactly like melting a Milkybar, whipping it up and popping it in a pot, it is delicious. It was easily identifiable as the classic Milkybar and was pure and utter heaven. Yes there are far more decadent white chocolate pot desserts out there but there is something delightfully guilty about this Milkybar Mousse. 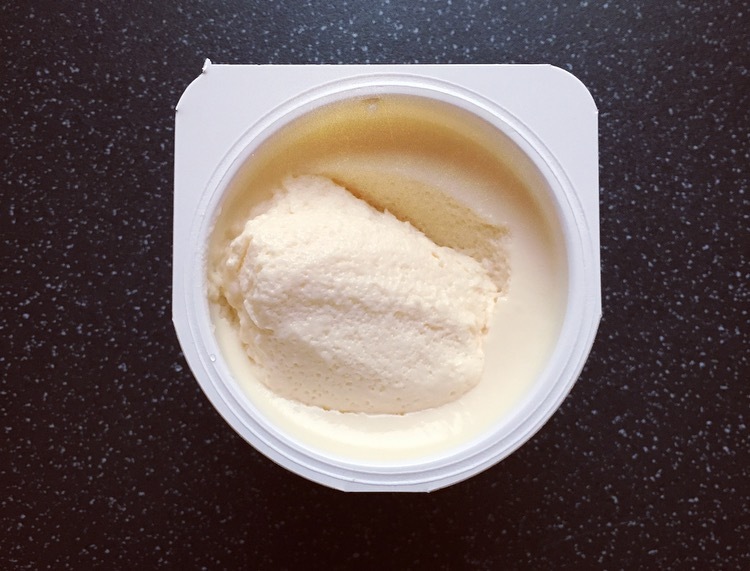 Better still pop it in the freezer for an hour and tuck into this even scrummier icy delight. An absolute triumph, bravo Nestle you have made one epic Milkybar Mousse that is far superior to your efforts with the Rolo Mousse. Although I loved this mousse as it came, freezing it takes it to a whole different level and is certainly a must try. Go on what are you waiting for?